HAMILTON — On Thursday evening, the Galion Graders took to Foundation Field in Hamilton for a very important meeting with the hosting Joes. 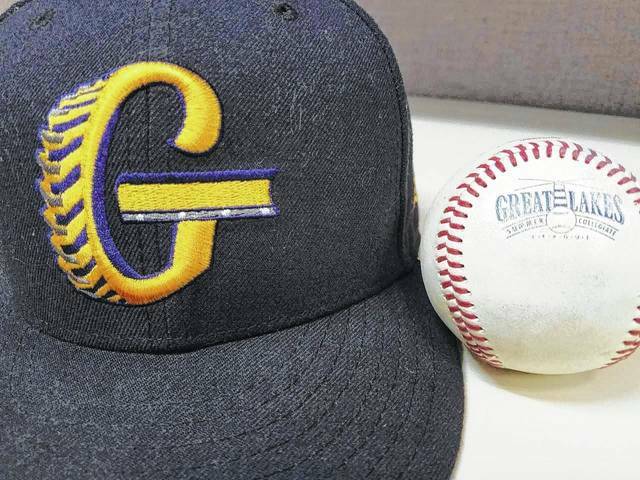 With less than a game separating the two squads at the time, Galion needed a win to help push them in the right direction for the third and final playoff spot in the Southern Division of the Great Lakes Summer Collegiate League. Hamilton would, however, not allow Galion to gain any ground, coming away with the 8-4 victory over their visitors. The win moves the Joes to 20-19 and 1.5 games up on the Graders for that third playoff bid. With the defeat, Galion drops to 18-20 on the summer and have now lost six of their last eight games. Branden Schlick took the mound as the starter for the visiting Galion squad but would have issues early. Schlick allowed four runs in his first four innings on the mound while the offense behind him mustered just a single run in the top of the second. In total, Schlick tossed six innings on the evening, giving up nine hits and five earned runs while walking one and striking out a pair of Hamilton hitters to suffer the loss. Mac Spears worked the final two innings for the Graders, giving up three earned runs on four hits while walking one and fanning three. Offensively, Galion racked up eight hits to earn their four runs including two doubles, a triple and five singles. The Graders earned three runs batted in while walking five times and striking out eight. Hamilton notched 13 hits to plate their eight runs, putting the game away late with three runs in the seventh and another in the eighth. Both teams stranded eight total base runners apiece on the game and committed zero errors in the field of play. Eric Wentz finished the contest with two singles and a triple to go along with a run scored and a run driven in for the Graders in the loss. Seamus Kenneally notched a double, a run scored and an RBI and Michael Rodriquez belted Galion’s other double on the evening. Jacob Reimold, Matthew Detering and Juan De La Cruz all finished with a single apiece while Detering recorded an RBI and Juan scored one of the four Graders’ runs. Vince Donato would not get a hit in Thursday’s game but would score in the defeat. Hamilton will host Galion at Foundation Field again on Friday evening. If the Joes come away with the victory, the Graders will be mathematically eliminated from playoff contention by falling 2.5 games back with just two games remaining. On Saturday, the Galion squad will be on the road for a meeting with the Lake Erie Monarchs before turning around and hosting those same Monarchs on Sunday at Heddleson Field in Heise Park. The first pitch for Sunday’s final game of the season is scheduled for 4:05 p.m.